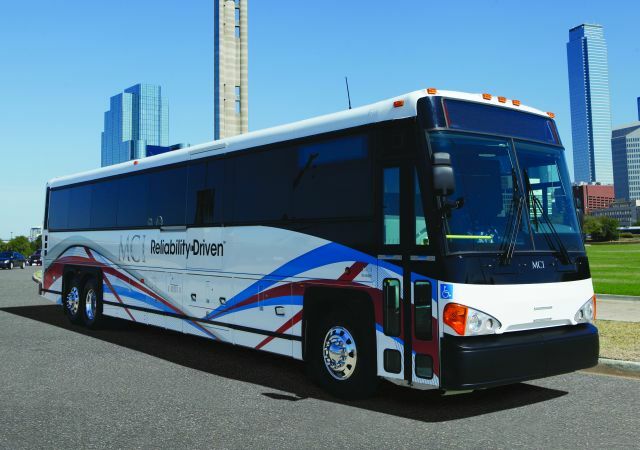 The Commuter Coach is designed for commuter express and built for highway speed, with forward-facing seating and a 42% greater seating capacity than a typical transit bus. Altoona-tested, Buy America-complaint, the commuter coach is available in clean diesel, hybrid and CNG, and in 45- and 40- foot configurations. It offers a highly competitive per-seat price, plus low cost of operation and the best mean-distance-between-failure (MDBF) rate over all other types of bus models. Exhibiting at BusCon, Booth #801. Exterior Height 11 ft., 5 in. GVWR 50,000 lbs. / 46,000 lbs. Length 45 ft. / 40 ft.
Wheelbase 318 in. / 279 in.